Earlier this summer, the Aloha Beach Club team hopped the border to shoot an editorial for the new Outerknown collection. Along the way they scored some tasty food and fun waves. Surfer Magazine met up with San Diego surfboard shaper, Jeff McCallum, earlier this year to discuss his career as a shaper and the importance of handshaping high-quality surfboards. His sleek and unique board designs have been fine tuned for the ever changing conditions and waves here in San Diego. To see more of Jeff's boards click here. I contributed water footage of Kahana Kalama to this piece. 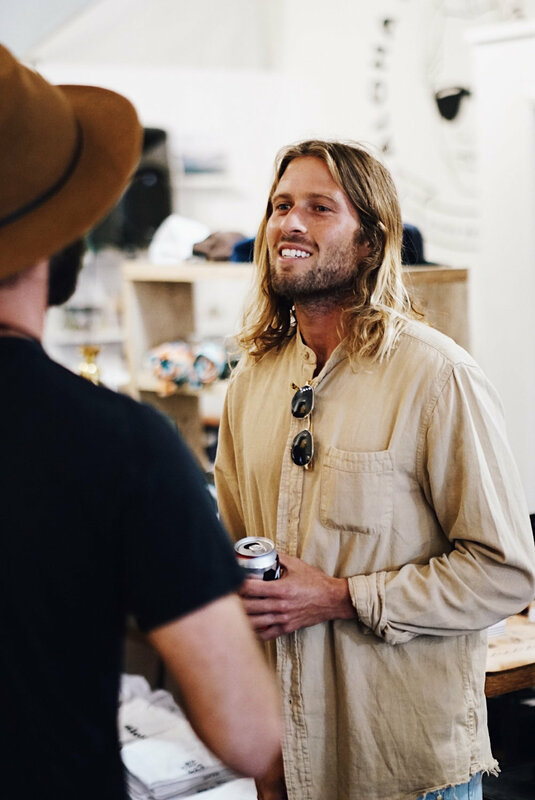 Vissla's Cliff Kapono met up with fellow Creator & Innovator, Travis Reynolds, at the world famous Haut Shop board building space in Santa Cruz, CA earlier this spring. What started as a brief chat about surfboard design, quickly resulted in the creation of a traditional, wooden alaia shaped out of paulownia wood and coated with linseed oil. From start to finish the process took about four hours, which gave Cliff the opportunity to test ride the alaia by lunchtime. Last month, I directed, filmed, and edited this short film about Oahu based photographer, John Hook, for Banks Journal. 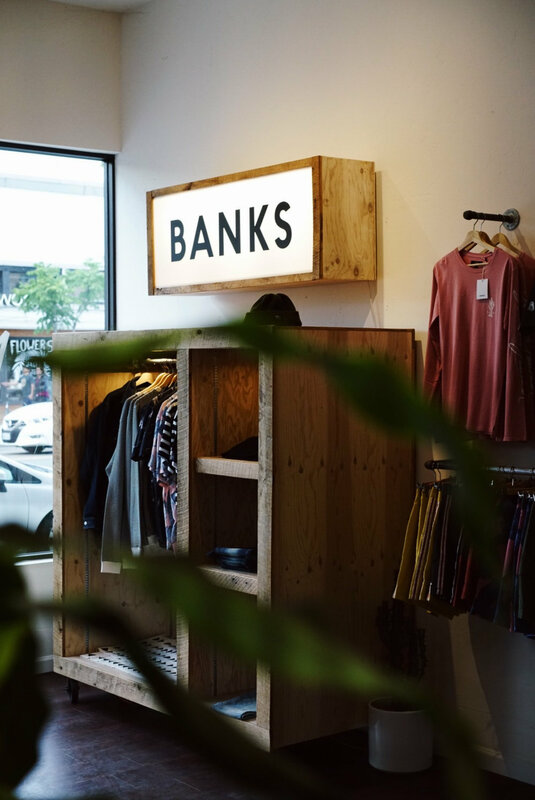 John and Banks Journal collaborated on a limited run of photo tees that feature photographs shot by John while wandering through Waikiki, Oahu. To check out the tees and see more of John's photographs, click here. The North Shore is a place oversaturated with stimulation in the wintertime. This winter was lackluster, wave-wise, but it still had short stints of excitement in between misdirected swells and onshore winds. North Shore Spam ~ a short edit from two weeks of searching for waves along the “Seven Mile Miracle”. Surfers: Cliff Kapono, Kahana Kalama, Ezekiel Lau, Ford Archbold, Shane Borland, Michael Rodrigues, Jesse Mendes, Kyuss King, Colin Moran, Anthony Walsh, Eli Olson, Kainehe Hunt, Ezra Sitt, Ian Gouveia, Dusty Payne, Kiron Jabour, Conner Coffin, & Coconut Willie. Music by: Sugar Candy Mountain ~ "Soak Up The City" & Skinshape ~ "Summer"
DISPATCH: "INVITED NORTH" ~ STAY WILD MAGAZINE. Last month, I was invited to visit Tofino, British Columbia, Canada to document the Vans Duct Tape Festival for Stay Wild Magazine. 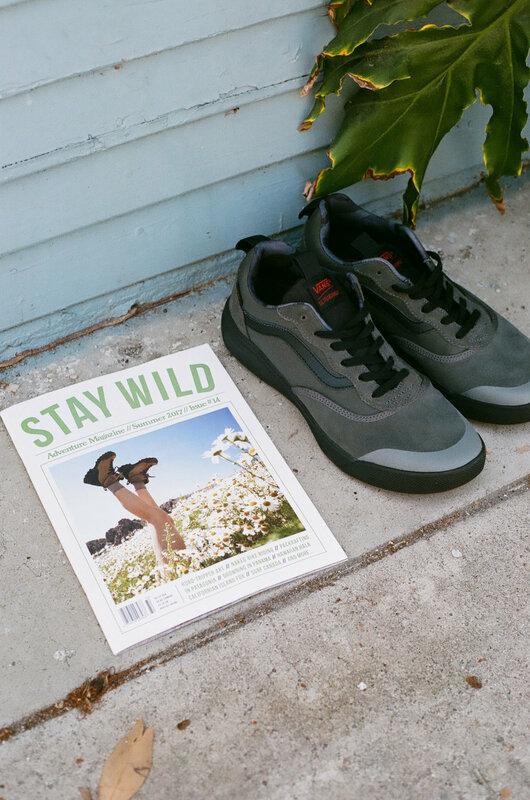 The trip coincided with the release of Vans' new UltraRange shoe designed by their team rider Patrick Gudauskas. I filmed and edited a short highlight video from the trip, as well as put together a short story for Stay Wild's Summer 2017 issue entitled, Invited North. To check out more photos from the trip and read the full story visit: www.staywildmagazine.com or purchase the summer issue at a local shop near you. 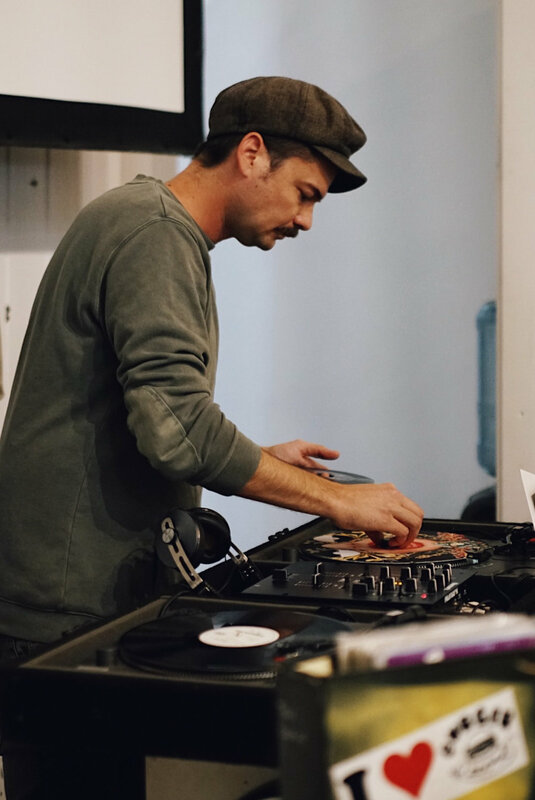 DISPATCH: CASUAL FRIDAY WITH – TY WILLIAMS. Earlier this month I documented a new mural that Florida-based artist, Ty Williams, painted on the Banks Journal US HQ in Newport Beach, CA. This short film offers some insight into Ty's creative process and the new style of painting that he's been experimenting with over the last year. 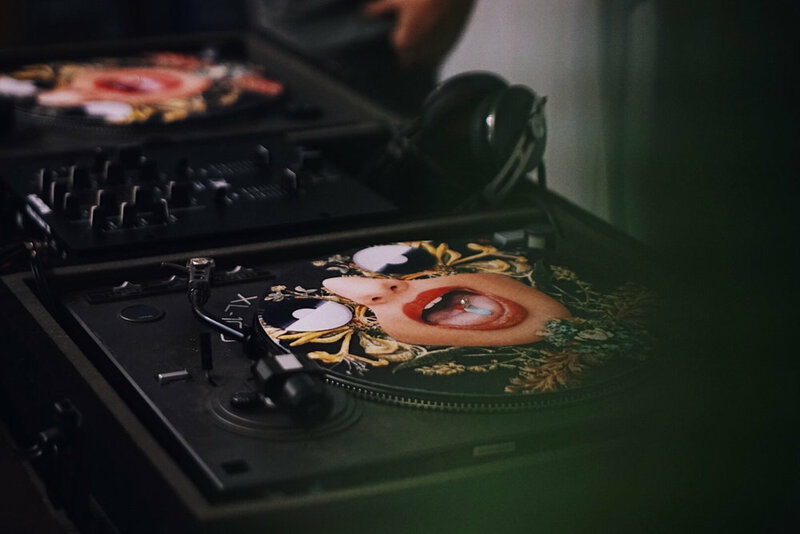 Banks Journal had an unveiling party for the mural last Friday at their inaugural "Casual Friday" event. Drinks were provided by Vacancy Coffee Bar & Pabst Blue Ribbon. 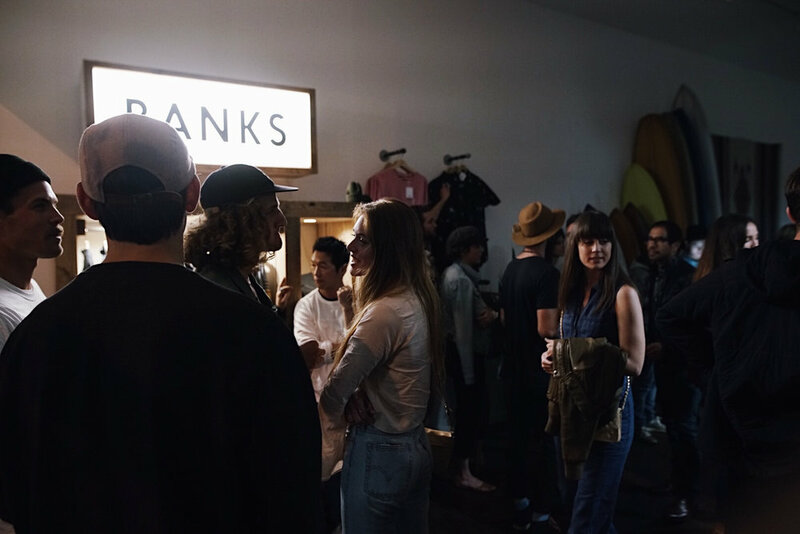 A special thanks goes out to Ty and the Banks Journal crew for supporting this rad project and event. DISPATCH: GUAYAKI ~ COME TO LIFE WITH KASSIA MEADOR & CYRUS SUTTON. Two, new short films I put together about Guayaki Amiga & Amigo, Kassia Meador and Cyrus Sutton. DISPATCH: KAHANA KALAMA ~ VOL. 1. This short film entitled, Kahana Kalama ~ Volume 1, is an introductory piece about Aloha Beach Club co-owner & Banks Journal Comrade, Kahana Kalama, his surfing, and how he splits his time between California & Hawaii. 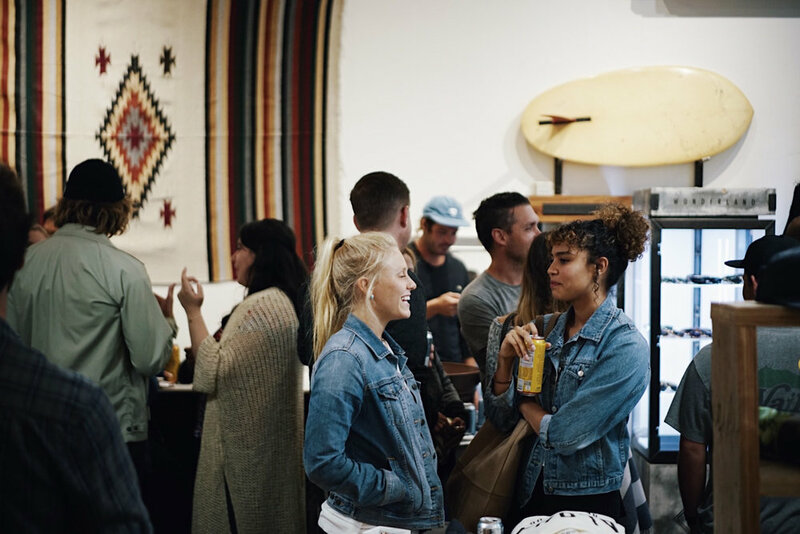 Aloha Beach Club hosted the film's premiere earlier this month at the North Park Flagship where refreshments were supplied by Coronado Brewing Company and Guayakí Yerba Mate. 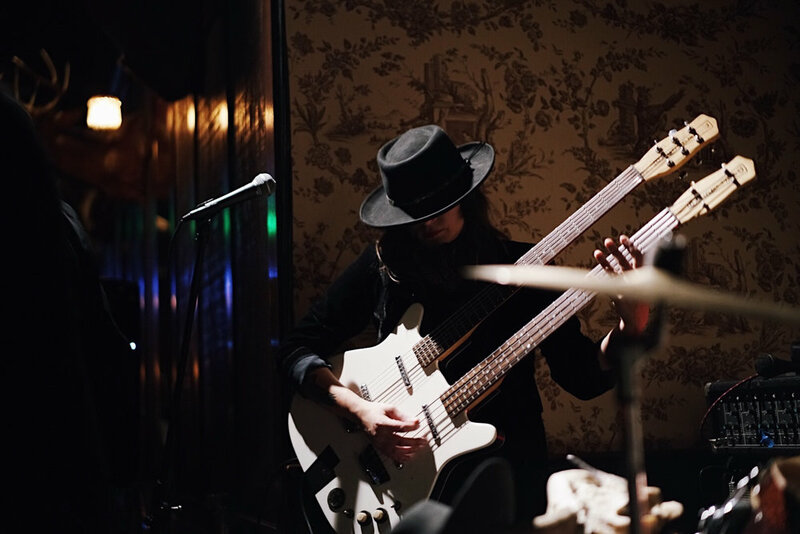 There was also an afterparty featuring a live performance by Los Angeles based band, SPINDRIFT, at Seven Grand San Diego. 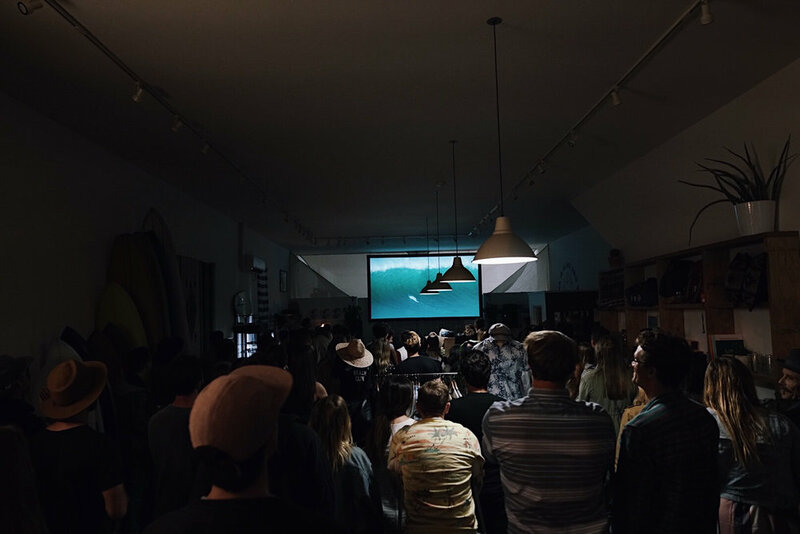 A big thanks goes out to everyone who made it to the premiere, the crew at Aloha Beach Club for hosting, & the Banks Journal team for supporting the film and event. 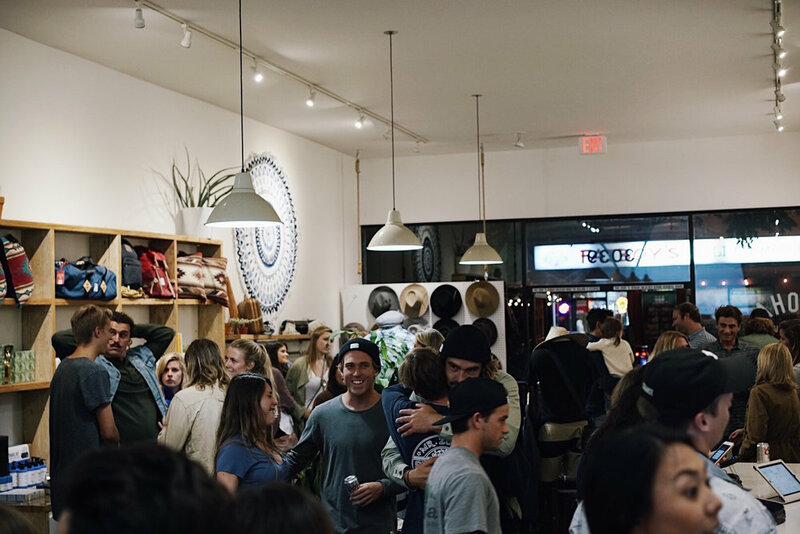 This year the concert organizers created a retail area called Coachella Vintage Market. Last weekend marked the beginning of the two-week festival and I had the opportunity to help out at Aloha Beach Club's booth inside the market. Highlights from Coachella 2017: Weekend One. If you happen to be heading out to Indio this weekend for Weekend Two, stop by the ABC booth and check out the shop's fresh assortment of home goods & clothing manufactured in Hawaii. DISPATCH: DESERT AND DENIM 2017. A quick recap from Desert and Denim III last weekend (Feb. 24/25). 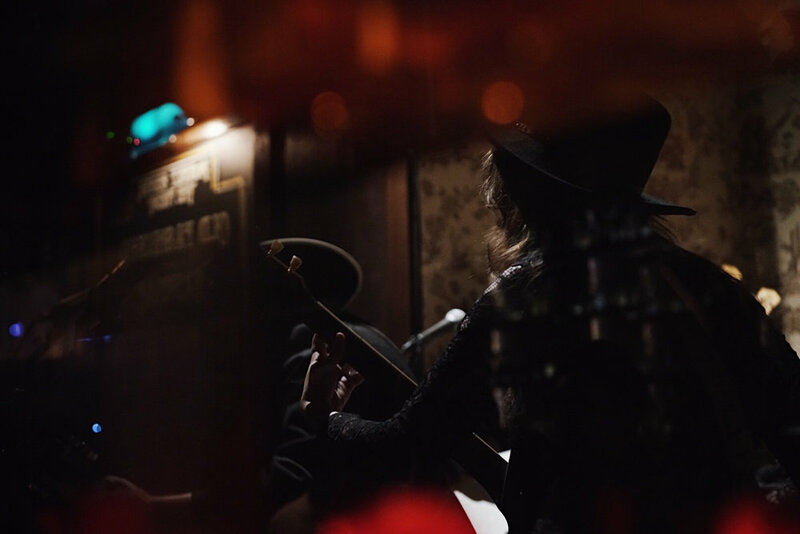 This year the festivities took place at the Pioneertown Motel in Joshua Tree. It was a colorful and exciting weekend checking out all of the vendors and characters that trekked out to the desert. For more information about Desert and Denim, click here. DISPATCH: PLNT MAGAZINE ~ VOL. 1. I'm very grateful and excited to have a photo essay featured in the first volume of PLNT Magazine. PLNT Vol. 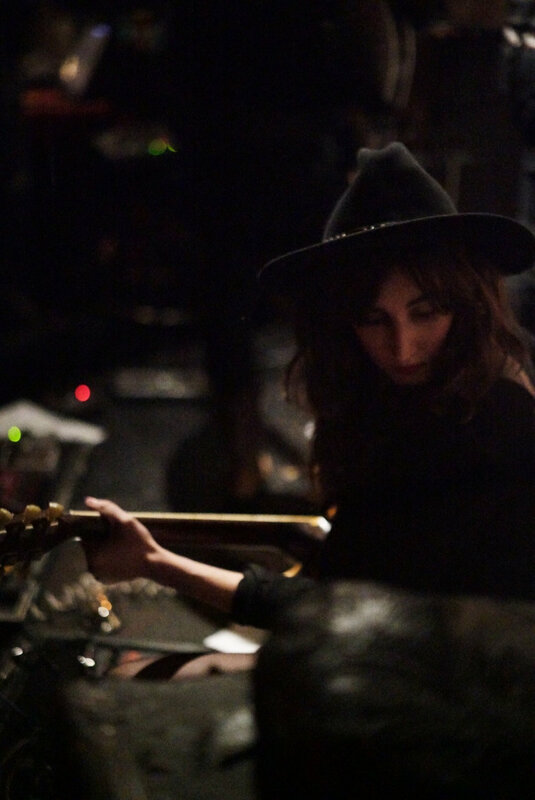 1 focuses on the idea of propagation and new beginnings. My photo essay includes an assortment of film and digital photographs from my trips to the Hawaiian Islands. Three hundred sixty-six days came and went quicker than I could've ever imagined. I put together this recap of my favorite moments, people, and trips from 2016. Locations: California, Oahu, Mexico, New York, Tennessee, Texas, New Mexico, Arizona, Fiji, Australia, Canada, Michigan & Illinois. Music by: Black Marble - "Iron Lung"
DISPATCH: THUMBNAILS: EPISODE SEVEN // CALLEN BUSCH. Callen Busch began building handplanes out of salvaged wood during a flat spell in San Diego. The lack of surfable waves pushed him to explore new methods of waveriding. Over the last five years he has refined his skills and created dozens of unique handplanes out of beautiful, exotic woods. In this episode of Thumbnails, Callen discusses his creative process and the joys associated with creating a one of a kind piece of functional art. Music by: Jake Rosen & Brendan Sepe. DISPATCH: "sa·cré bleu" ~ A SHORT FILM. Last week, the entire California coast was gifted seven days of picturesque waves. Spots that have laid dormant for the last few months came to life in true form. Kahana Kalama and I made it a priority to get out every day while the swells lingered and we came away with this piece entitled, sa·cré bleu. 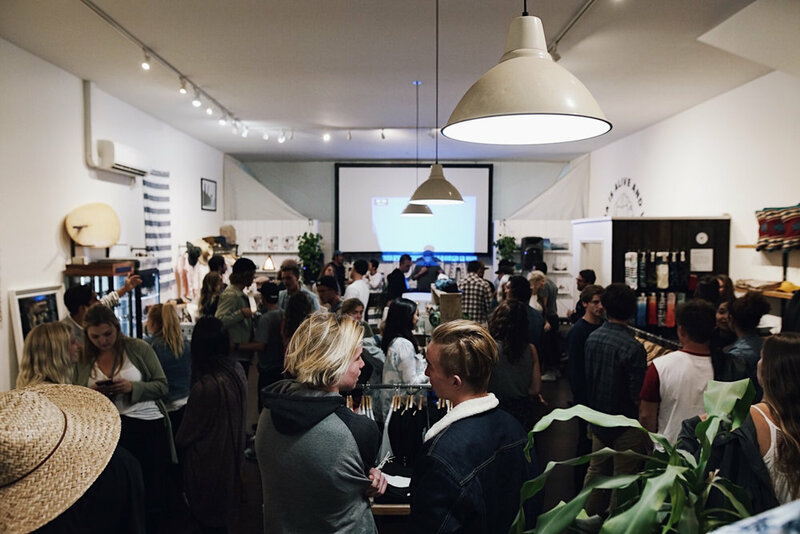 DISPATCH: WHAT YOUTH ISSUE 15 - RELEASE PARTY. Last month I headed out to Palm Desert with Aloha Beach Club to celebrate the release of What Youth: Issue Fifteen. As we pulled into the familiar ACE Hotel parking lot, the warm, desert air welcomed us with a tight squeeze and immediately led us to the glistening pool for an evening dip. After trekking all day through the Arizona desert, our good friends, Matt Bruening and Brennen Cunningham, met us poolside before we all headed to the private pool at The Commune for the release party. What Youth pulled out all the stops for the event. Los Angeles based punk band, The Paranoyds, kicked off the night with an unreal set before the back-to-back screenings of Everything's Wrong But In The Right Place and Dion Agius' new film, The smiling bag. All in all the night served as a great (unofficial) farewell to summer. For more photos visit: ALOHA BEACH CLUB ~ FIELD TRIP.